Due to the difference in manufacturing methods for the various plywood products, they can vary in weight considerably. Basically, since the resins and glues used to hold the wood together are heavier than the wood or wood fibers, the greater the percentage of glue or resin found in the plywood product, the greater the weight of the plywood. Let’s start with the most common plywood product, softwood plywood. 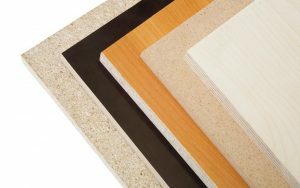 The APA (American Plywood Association) has created design specifications for the production of various plywood products. In it, they state that softwood plywood should weigh approximately 3 pounds per square foot, per inch of thickness. Actual plywood weight is slightly less, as the specification is for pre-sanded sheets. The organisation offers a bunch of technical informations and educative content. To compare and visualize the difference in weight and thickness, look at the following tables below. In the next chart, we’re going to compare the weight of other plywood products to Softwood plywood. 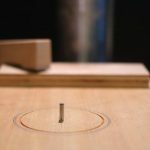 For the sake of simplicity, we’re only going to compare 1/2” thick plywood. Click to sort by plywood weight or percentage. Note the weight may greatly impact the price. Weight chart is closely related to price chart. After selecting the type of wood, please enter thickness, width and length with appropriate units of measure (inch, foot, millimeter, centimeter, meter) in order to calculate weight. Results in pounds and kilos are available. Important note: as wood density varies depending on contents of moisture, tolerance for weight may be up to 20%. If you wish to use this calculator on your website, please contact us.